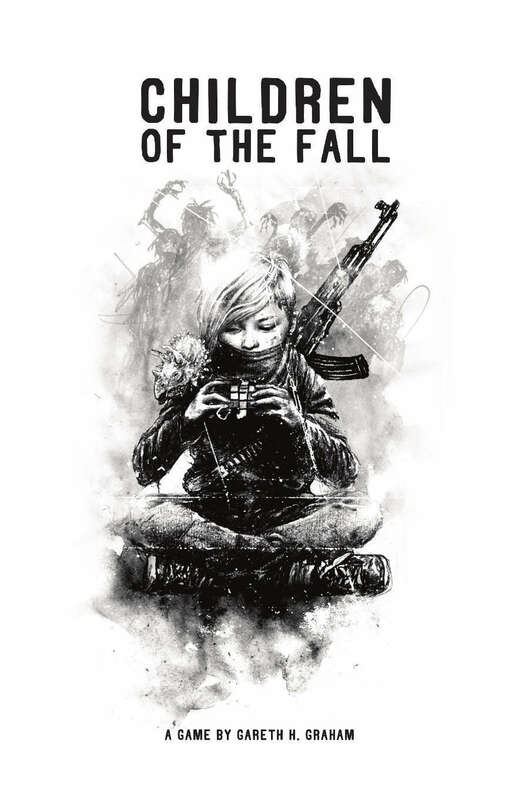 In Children of the Fall, the players play as the survivors of an apocalypse that has turned all the adults on the planet into evil, bloodthirsty savages known as the fallen. As a group, the players will explore and develop the world and story together in a completely collaborative system. Players will need to keep an eye on the ever shifting hierarchy of their tribe, build and grow their haven and do the jobs that need doing to ensure the tribe’s survival. Agency is shared amongst the players, and the game uses a brand new streamlined and simple rule set, which keeps all the players engaged in every scene. Children of the Fall is designed for 3-5 players. It is a GMless story game. Sessions take 120-240 minutes to complete. Unlike many traditional story games, Children of the Fall has support for one shot and campaign styles of play. The game was featured on the BORED GHOST podcast (the amazing story game podcast).